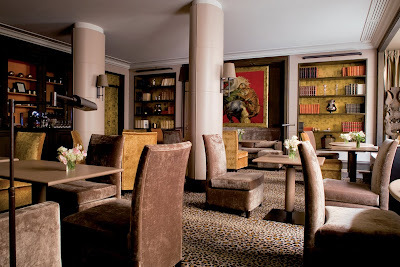 Discover our new Library Lounge opened few weeks ago and discover the Design of Didier Benderli from Kerylos. Our guests can enjoy the view onto the Saint Sulpice street side and have daylight while having breakfast , an apperitif , coffee or tea later in the day. Breakfast is served in the mornings and during the rest of the day, the Library Lounge will continue to have an open honor bar complimentary for our guests during their entire stay. Enjoy the photos of Gregoire Gardette. To see more photos.